Startling footage has emerged showing a woman smashing up her ex-husband’s expensive SUV while their terrified children scream inside the vehicle. Viewers have been shocked by the image of the woman in a fit of overwhelming rage, shattering the windows of the SUV to smithereens. In the process, she showered her small children – aged just three and five – with fragments of broken glass. Her former husband caught the entire terrifying ordeal on camera, and can be heard pleading with his former lover to be careful of the ‘babies’. 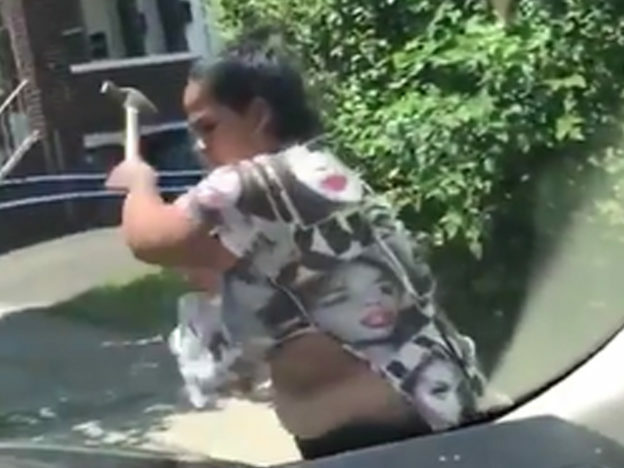 The unnamed woman is believed to have been consumed with jealousy as she whacked the vehicle multiple times with a long handled hammer, showing no concern for the safety of others. At the end of the video, the menacing mother is shown to remove the tiny boy and girl from the back seats. Horrifyingly, one of the children appears to have a cut on their arm as a result of the vicious assault. 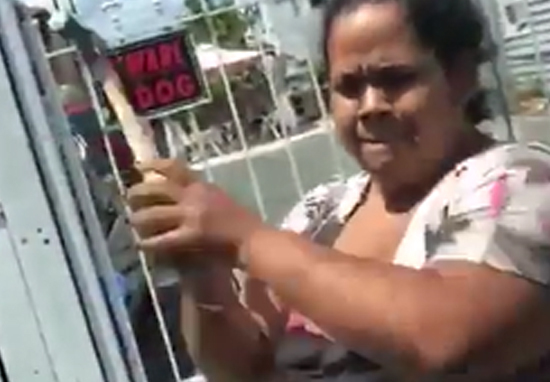 According to the description on the uploaded YouTube clip, it was expected that the violent woman would be handed in to the authorities for questioning. However, for unknown reasons this has not occurred. We don’t know what went on between the unhappy ex-couple but we just hope they leave the kids out of harm’s way in the future.